This award was inspired by a conversation on Twitter started by someone who is apparently unable to look beyond the big-budget triple-A mainstream — specifically that as depicted by the annual Game Awards — for representation in video games. I am not a girl. However, for a good few years now, I’ve really enjoyed the opportunity to play as female characters in games. As I recall, the first time I ever did it was in Baldur’s Gate on PC (which is also where I dreamed up the name I give every female character where the option to customise exists: Amarysse) and it felt strange and exciting at the time. 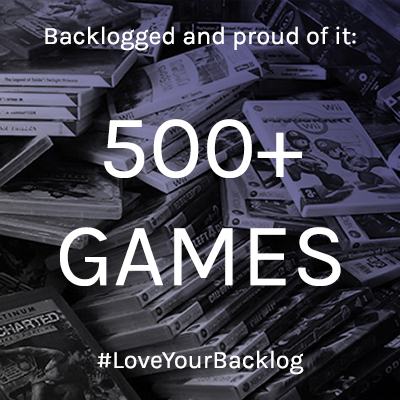 Now, it’s a much more normal part of today’s gaming landscape, but some people appear to not recognise this fact. So today’s award rather passive-aggressively celebrates a game I covered this year that particularly emphasises the fact it tells an interesting story with its female lead — a story that is very much about femininity. Anyone who has played Blue Reflection will not be surprised to see me pick it for this award. 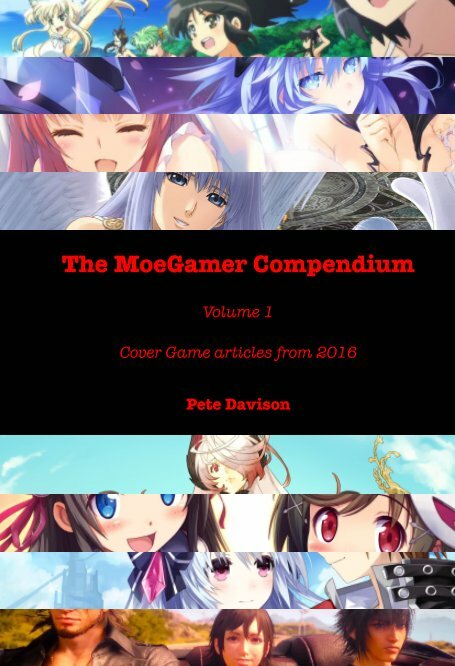 While there are plenty of games (particularly from Japan) featuring awesome female leads — and many of them have been covered here on MoeGamer — it’s hard to think of a game that did a better job of exploring the idea of just being a girl. 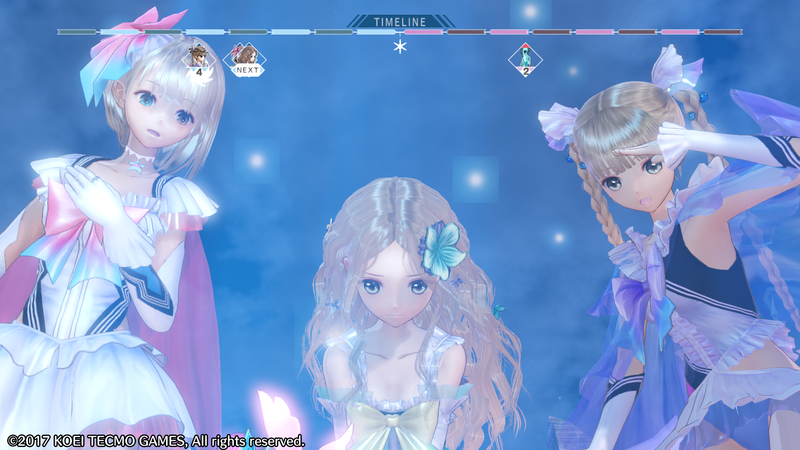 The concept of femininity, and how embracing this part of yourself doesn’t make you in any way a “weaker” or “lesser” person, is core to Blue Reflection’s narrative. It’s a deeply personal story about protagonist Hinako, and how she comes to terms with a life-changing injury that cuts her promising career as a ballerina short. Having lost such a key part of her identity — a distinctly feminine part, at that — what is now left for her to live for? 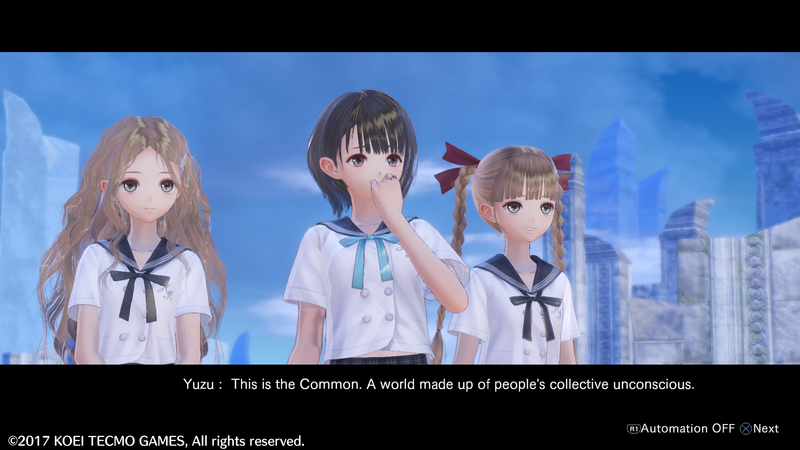 By extension, Blue Reflection is also about depression and anxiety, and how these issues can prevent you from moving on with your life when presented with difficulties. It explores how difficult it can be to reach out for help when you really need it the most, and how some people will be there for you regardless, without you having to ask. It’s about lashing out at the people you care about, even though you know it’s the worst thing you could do; and it’s also about the fear and grief that a sense of impending, inevitable loss brings. It’s an absolutely remarkable game in so many ways, and it makes excellent use of the “magical girl” trope to explore these themes. Many anime and manga works that follow the magical girl mould explore the idea of someone being forced to grow up “before their time”: being presented with a great deal of responsibility before they’re truly ready to process it, and how they go about ensuring they don’t make a real mess of not only their own lives, but those of the people around them, too. 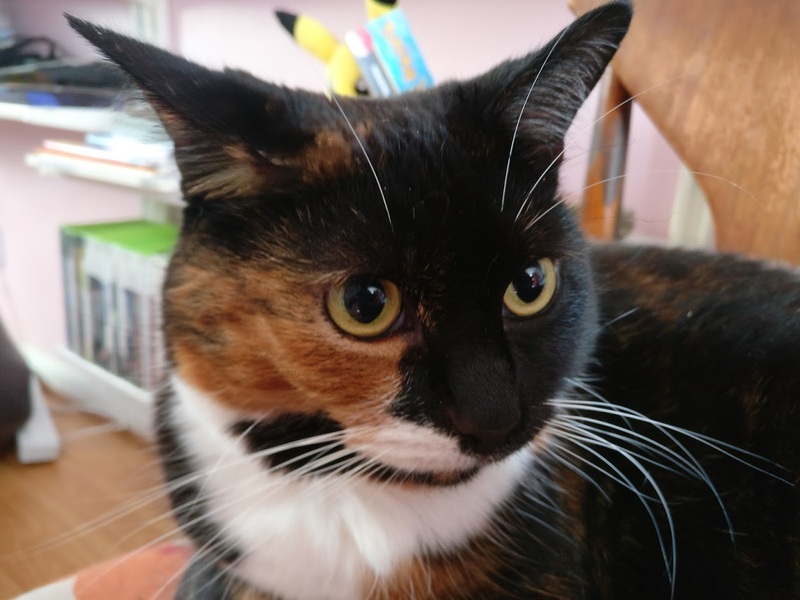 Yokohama National University’s Akiko Sugawa, writing for Nippon.com, suggested that the magical girl trope was a means for these characters to explore the idea of adult responsibility while still having a safety net of being able to go “back to childhood” when necessary. This is symbolised by the transformation sequences, of which Blue Reflection has some delightfully overblown ones. She also argued that “Japan’s magical girl warriors also preserve attributes associated with traditional gender roles—including cuteness and maternal affection—that make them less threatening to men.” In other words, rather than presenting the female characters as what amounts to male heroes in skirts, magical girl stories allow these characters to embrace their femininity — including the desire to give and receive maternal affection and a sense of sisterhood — without sacrificing their overall capabilities. In doing so, the characters remain relatable, understandable and likeable to people from all backgrounds, regardless of how you’d care to divide them up into neat “demographics”. 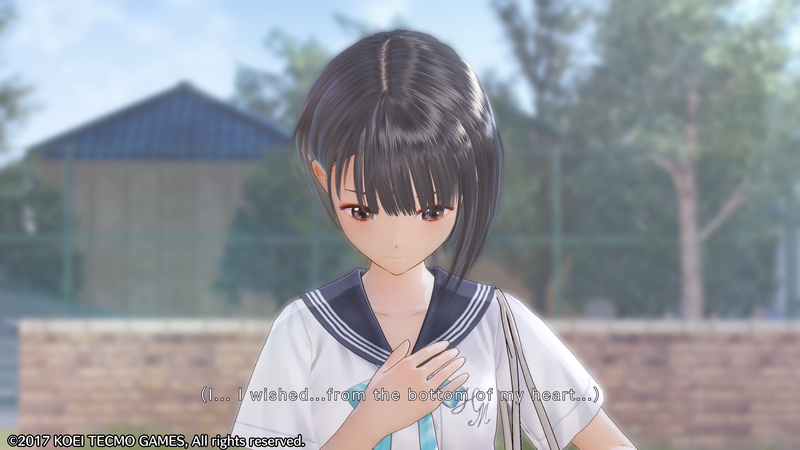 Protagonist Hinako is initially resistant to anyone’s attempts to help her — most notably those of deuteragonists Yuzu and Lime, who stand alongside her as “sisters” for the majority of the game’s runtime — but, as she grows, changes and comes to accept aspects of her personal situation, she develops her own maternal instincts and comes to care for the people around her and the overall “community” of the school in which the story unfolds. By the end of the game, there’s a significant network of people who all take care of one another — and it’s Hinako who brought them all together. 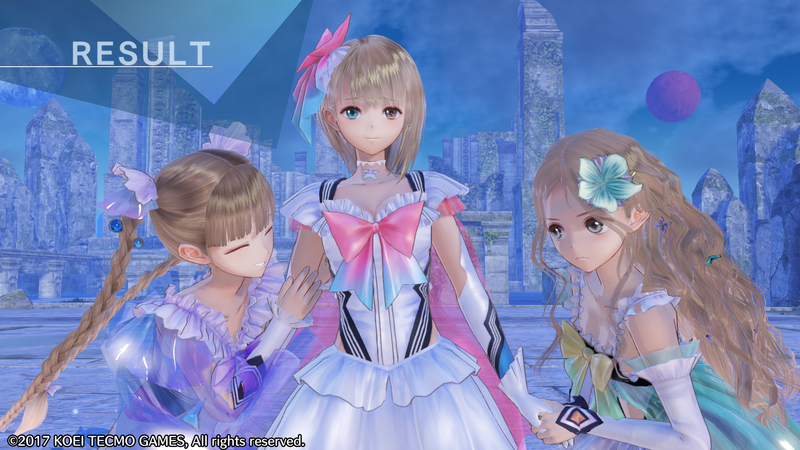 Core to Blue Reflection’s narrative structure and its use of maternal affection as a core theme is the idea of acceptance and understanding. Each of the game’s main chapters focuses on a secondary character who is having some sort of emotional difficulties. Due to the supernatural elements of the narrative, this causes them to go “rampant” and effectively be paralysed by their own emotions. It’s at this point that Hinako, Yuzu and Lime use their powers as Reflectors to enter the collective unconscious, known as the Common, to track down this emotional “fragment” and demonstrate it complete acceptance, tolerance and understanding. In doing so, they help the person suffering from rampancy to recognise the root cause of the emotion that is overwhelming them, and ultimately figure out a way to confront it. Not necessarily solve the problem — some of these issues are things that will have to be worked out over time — but at least understand what their next steps will be. Each of the game’s main characters help Hinako to explore a different aspect of herself; by the time she’s got to know all of them and confronted some of their deepest, darkest emotions in the Common, she’s grown enormously as a person and, while her own problems are still present, she feels much better equipped to deal with them on her own terms. And, to be frank, as someone who found some of the issues Hinako confronts over the course of Blue Reflection quite relatable… the experience helped me out, too. And so I think this game will always be special to me. Hence the award. Now stop moaning and actually look beyond God of War and Red Dead Redemption for what you’re after from gaming. You might be surprised what is already out there, ready, waiting and willing to provide you with exactly what you want. Sadly, this game is available on Vita in Japan, but not in the West. The Vita version is not a very good port, so you’re not missing much, thankfully! Without a PS4, though, it woulda been my only option. There’s a PC version too! I haven’t been a PC games in years.